Caroline trained as a chef when she was 15 years old and has been in the food world for over 24 years. She was first discovered on YouTube by BBC America where she became known for her easy to follow cooking tutorials which she filmed and produced herself. This lead to her moving across the pond with her daughter and living in Santa Monica. She is Executive Consultant Chef for The Gorgeous Kitchen Restaurant in London Heathrow Airport which was voted No 1 airport restaurant in the world, by the Daily Mail and in Conde Nast, and author of 2 published cook books and one natural beauty book. Caroline met John Warfel, a local, well established commercial real estate developer, through a charity event in Santa Monica. A small neighbor group had decided to get together and do some volunteer work for a group of homeless Veterans at the Ocean Park Community Center. Caroline offered her cooking skills and John’s company kindly offered to sponsor the costs of food. The event was a great success, all the volunteers pitched in and John himself was in charge of mashed potato duties. After the event they sat down for a well deserved drink and soon came to discover that they had a common interest. John told Caroline that he had always wanted to start a French Fries business, and Caroline told John she had always wanted to open a gourmet food chain, and what better place to do it than America. 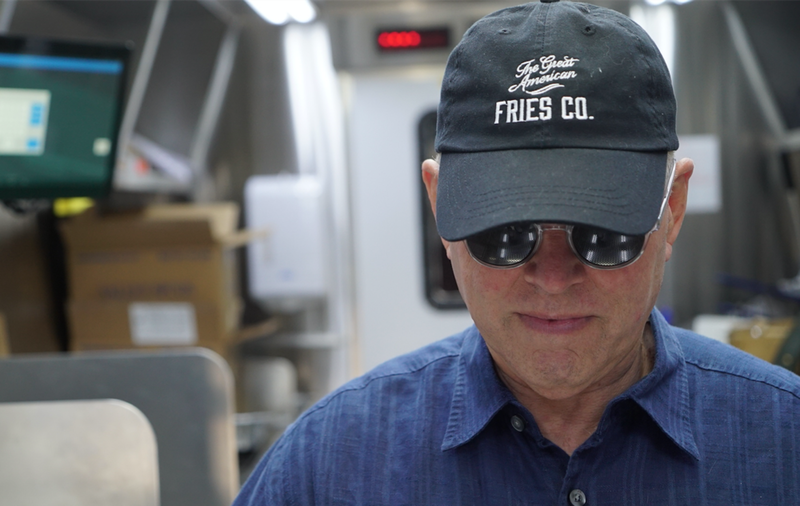 Within a few days Caroline had put together a business plan for John, The Great American Fries Co was born, and the rest is fries history!